Every summer it's the same thing. 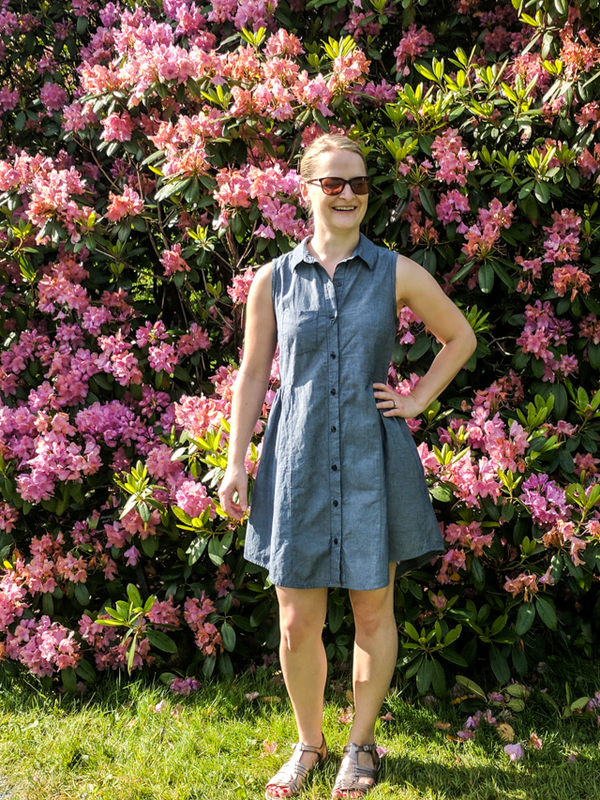 I start with a long list of super ambitious sewing plans, and a few months later I'm left wondering how the summer could possibly be coming to an end with hardly a dent in that sewing list. Hmph. I need to work on setting more realistic goals. My only consolation is that of the few things I did sew, two of them were worn pretty much non-stop the entire summer. Those two things were both Alder Shirtdresses. 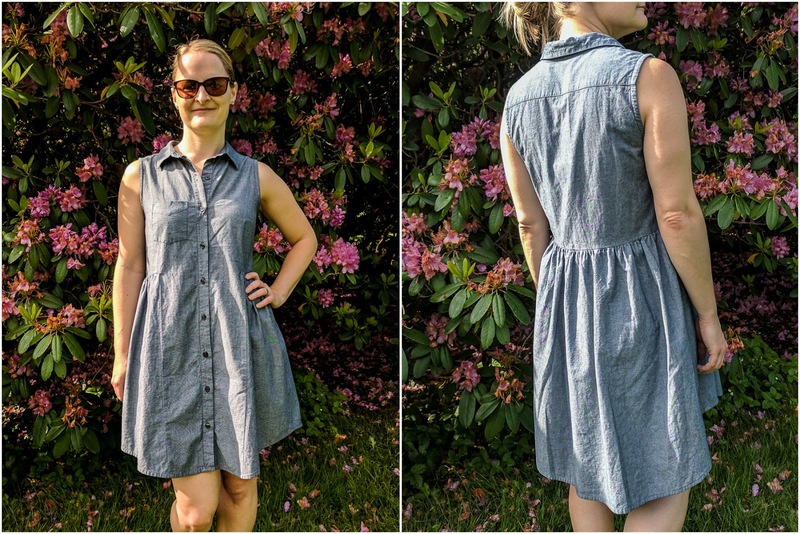 I love a good collared button-down, I love sleeveless sundresses, and I love a roomy waist. 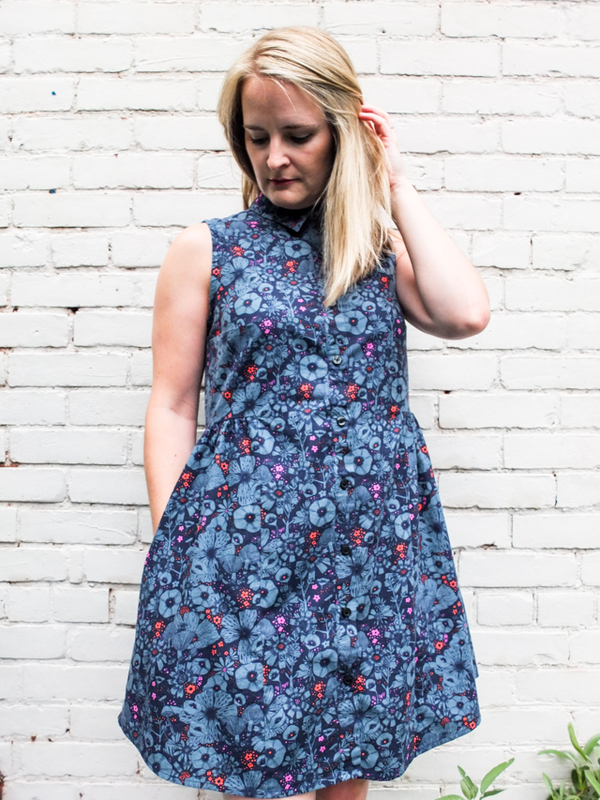 This pattern checks all the boxes -- I don't know why I didn't sew it sooner! I've had it since it first came out, for goodness sake. That's a lie. I know exactly why. Until recently, I was majorly intimidated by collars. It was a challenge I set for myself to tackle this year, and now that I've learned how, I can't seem to stop. Haha! 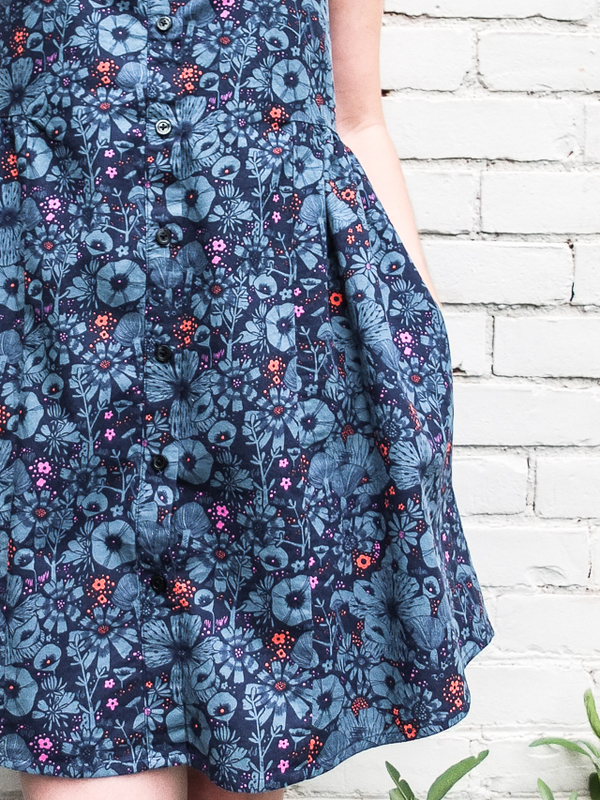 They can be tricky, but like anything in sewing, it all comes down to a series of steps and the more you do, the easier it gets. I've been holding on to this fabric for almost as long as I've had the pattern, I think. 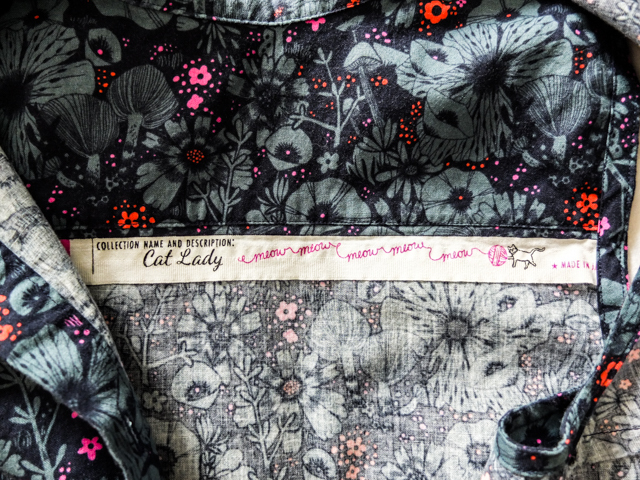 It's called "Purrfect Hiding Spot" from the Cat Lady collection for Cotton + Steel. And the selvedge was too adorable not to include in the garment. 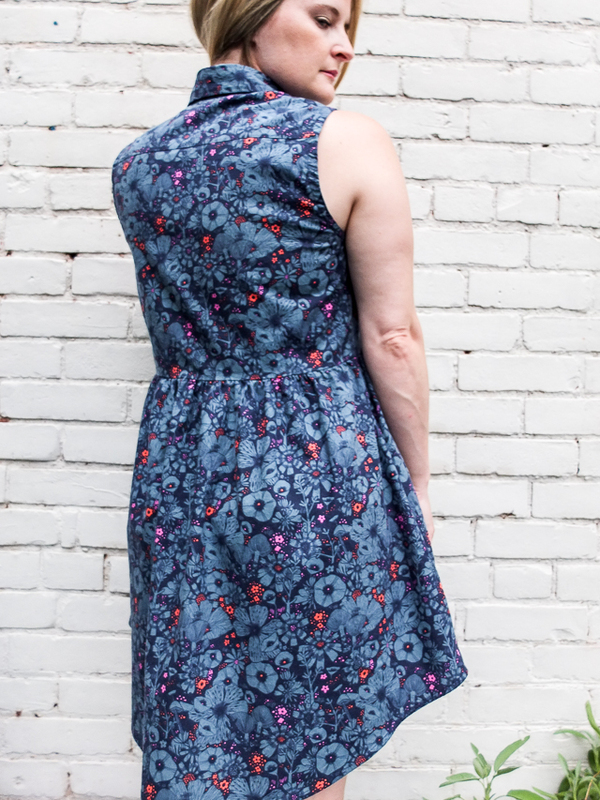 I thought about putting it along a side seam or the front panel seams, but decided to sandwich it within the yoke instead so that I would see it every time I put on the dress. I think it was a wise choice. It always makes me smile! 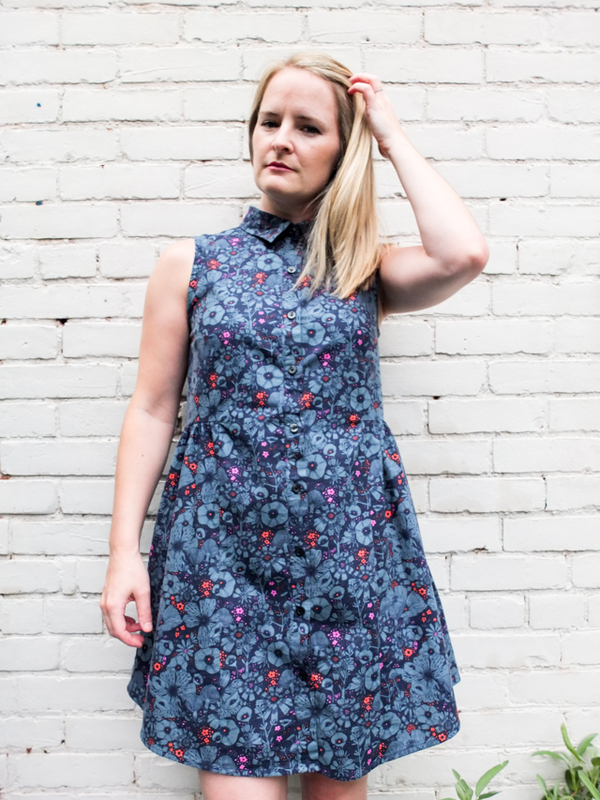 The advantage of sewing a lot of patterns from one company, is you typically make the same alterations to them all. For Grainline Studios, I almost always have to pull up the shoulders and do a forward shoulder adjustment (FSA). Once I took 1/2" from the shoulders, the bust dart and waist gathers were in the right place. I then needed to lower the armhole and the neckline by 1/2" as well. I wasn't sure how the yoke and collar would react to an FSA, so I decided to wait to see how my muslin fit without it first. I was really happy with everything, except that the collar stands away from my neck. Nitpicky, I know, but I'm nitpicky about fit. The neck did not gape before applying the collar. I thought that maybe an FSA would fix it, so I tried it with my second version. But that just made things worse, so I went back to the original. It's a really small issue and certainly doesn't bother me enough not to wear it. It's more of a curiosity for how to fix it. If anyone knows, please share. The only other thing that I changed was to add inseam pockets. All my dresses have them now, so I'm too used to having them there. When I'm wearing my muslin, I keep pawing for them. It's such an easy thing to add, it's kind of odd that they weren't included to begin with. It was easy to tack the pockets to the front panel seams too, to keep them from flipping to the back. I had a tough time with the pivot points on both dresses. I'm almost certain there will be holes there over time. Again, no one seems to mention this, but if anyone has any tips for perfecting that area, please share. Everything else about this pattern was great and constructed as instructed. Even the hem was perfect, which is unusual, as I'm 5'4". You will probably need to lengthen it, if you are any taller. 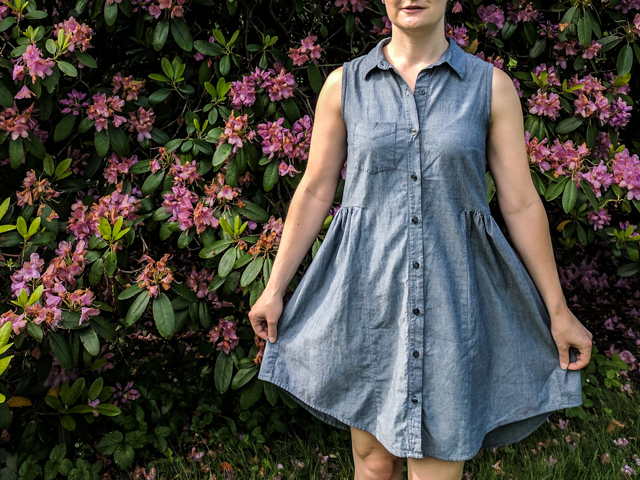 The other Alder that I made this summer was my muslin in a plain grey chambray. I took these photos spontaneously on vacation in Halifax, so you get to see it in its most commonly worn state, wrinkly AF. I could blame my suitcase, but let's be real, it looks like this at home too. While my husband was taking these photos, two ladies asked if we wanted our photo together. What was I going to say? "Umm, no thanks, this is all about me and my pretty dress." LOL! I never take photos in public, so this was a first for me. Turns out they were both from Hamilton too! Blogging is weird. I'm sure you've gathered that I love both of these dresses. 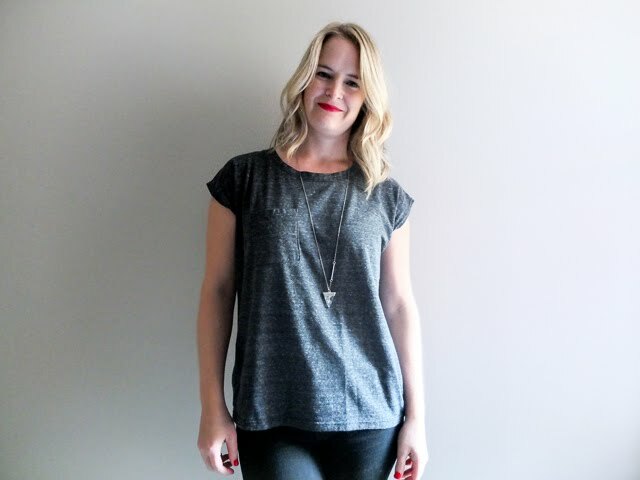 I love how you can throw on one item and instantly feel both stylish and comfortable. It's casual, but not too casual. Haha! And I think they'll transition to Fall quite nicely as well, paired with leggings and an Astoria sweater. I'm not ready to pack them away, that's for sure. Or maybe I'll make another one? I've seen some cute Alder-Archer mashups out there. 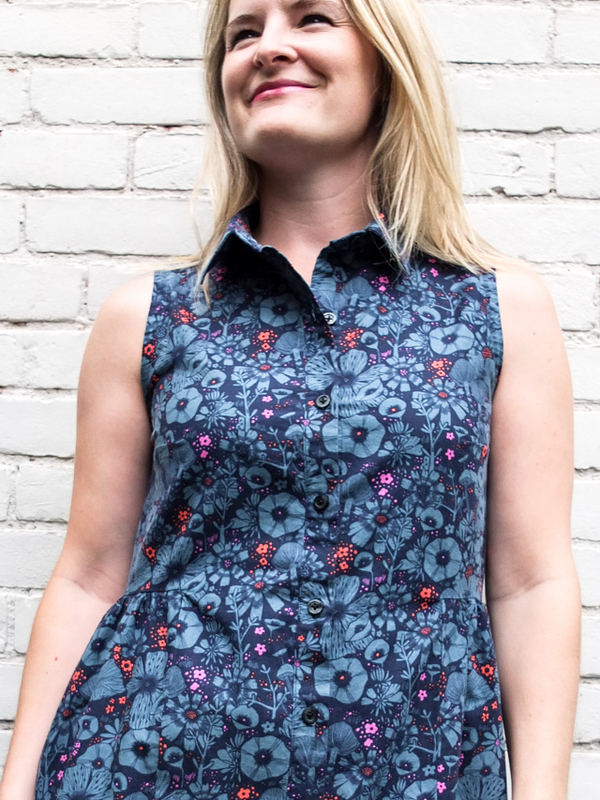 What has been your favourite handmade garment this summer?